From Bloomberg, October 11, 2017, by Vivian Nereim and Glen Carey.. But when the government decided to allow women to drive cars, up popped Al-Arefe on state TV to say what a good idea that was. “A modest woman will remain modest whether she drives or not,” he told the nation. Other religious leaders, once hostile to any departure from traditional ways, joined the chorus of approval. 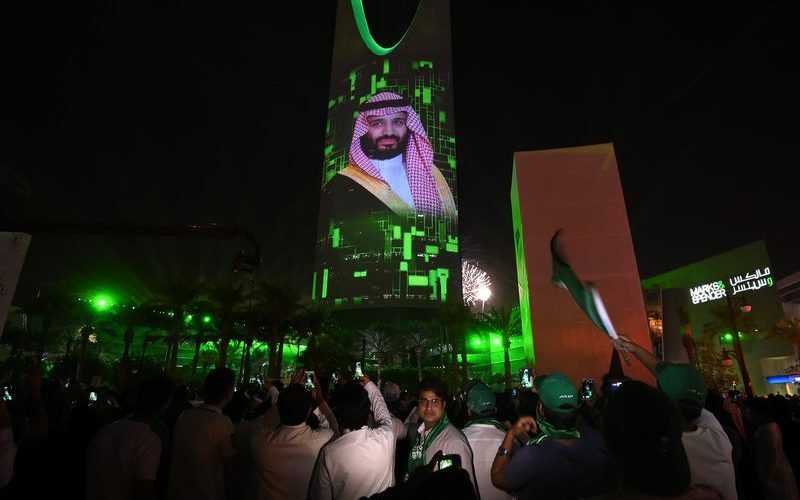 nder Crown Prince Mohammed Bin Salman, Saudi Arabia is seeking to reintroduce itself to the world — opening its economy to global business, and its society to practices once deemed un-Islamic. At the same time, the limited space for criticism and debate that once existed in this absolute monarchy is being stifled. Things began to change when King Salman succeeded his brother Abdullah in 2015. The transformation accelerated — and the circle of decision-making narrowed — with the rise of Salman’s son to a dominant position in the government. Prince Mohammed envisions a “vibrant society,” with more women in the workforce and more entertainment options. His economic program is based on a radical shift from public to private sector, and diversification out of oil. He’s cited the disruptive innovators of Silicon Valley, like Facebook Inc.’s Mark Zuckerberg, as role models. It’s not all coercion. The crown prince has cozied up to many potential critics. He posed for a photo with Al-Arefe, the smiling preacher’s arm wrapped around him, and held a personal meeting with a once-oppositional cartoonist. “Saudi Arabia never was an open society, but it never was a kingdom of fear,” said Jamal Khashoggi, a senior journalist and former government adviser now living in self-imposed exile in the U.S. The wave of arrests is “part of the closing down of space for freedom of expression,” he said. That’s also affecting liberals, often a term of abuse in the kingdom. On the night of the driving decision on September 26, authorities began calling prominent women’s rights advocates and warning them not to publicly celebrate — or face consequences, according to four people familiar with the matter. One of them speculated that the government didn’t want activists to get any credit for the decision, preferring to highlight the role of the leadership. “They need to manage the narrative,” he said. The crackdown continued last week when 22 people were arrested for “inciting public opinion” on social media. Some educated and previously outspoken Saudis are making plans to leave the country. During a recent conversation, one elite Saudi lowered his voice to say he’s looking for a way out. He said he loved the country and wanted its transformation plan to succeed, but was worried that only “yes-men” could thrive in the current climate. Prince Mohammed’s bold departures on economic and social matters are matched by a newly assertive foreign policy. In Yemen and Qatar, concrete results have proved elusive. Still, patriotic fervor is running high. Images of Prince Mohammed are all over state media. Even orange-juice cartons in grocery stores are adorned with pictures that celebrate Saudi power: fighter jets, saluting soldiers, clenched fists. 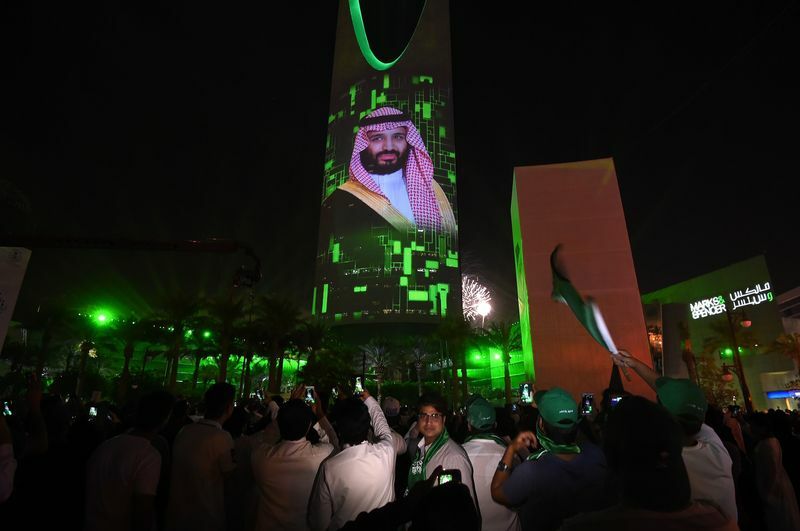 The tougher policies at home and abroad are intertwined in the Twitter hashtag “black list,” launched by royal court adviser Saud Al Qahtani in August. He urged Saudis to name and shame people who took Qatar’s side in the Gulf dispute. There’ll be “tough judgment and pursuit” for every “mercenary” who gets blacklisted, he wrote.